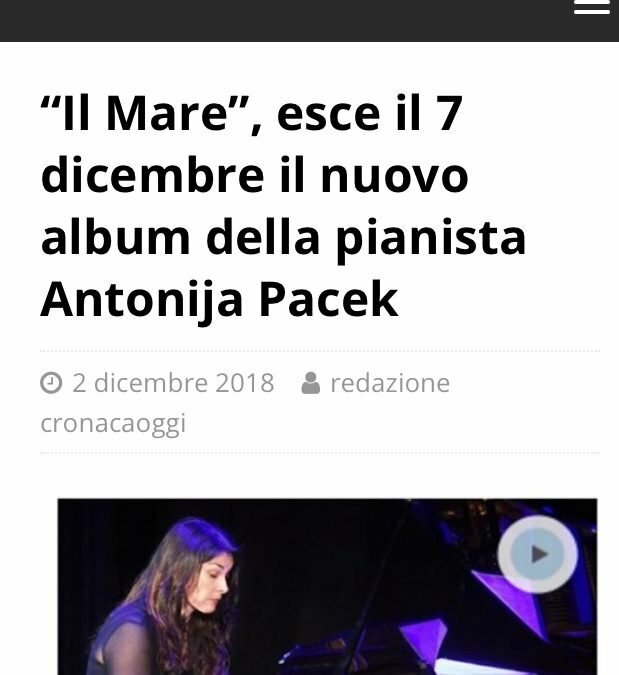 The article also includes the stories of each composition on the “IL MARE” album. The opening song of the new album is “Before the Storm”, which depicts challenges she faced with one of her children. In retrospect, Antonija closely listened to her child’s heart and feelings, so the disputes were all resolved with time. “The SEA” is a goodbye song for her mother, and presents her acceptance that her mother is physically gone. An excerpt of the chorus that Antonija wrote for this song goes “your face reflected in the deep, deep blue sea, oceans of memories right back, back at me, searching for the moments for the days full of glare, then rolling with the wave coming up for air…”. An instrumental solo piano version of the song the SEA is the track two, and the piano with the vocal version, featuring Barbara Kier is a bonus track on the album (14).